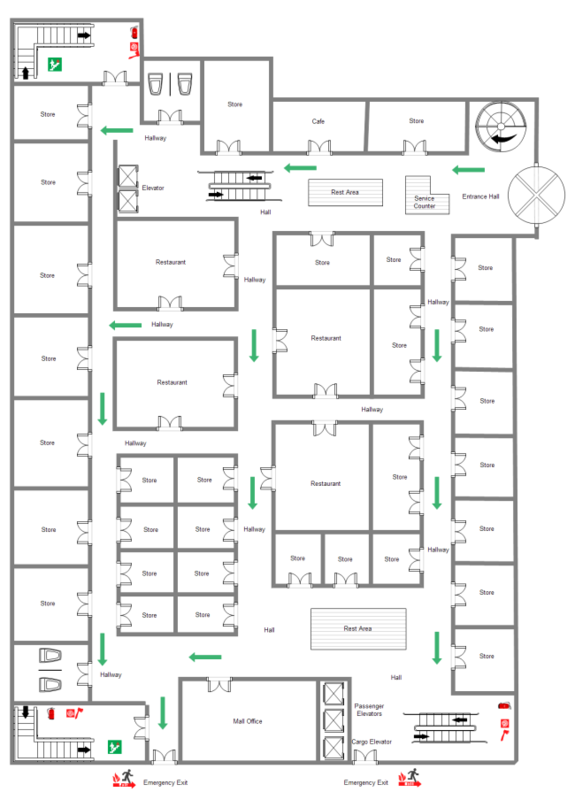 Description: A free customizable mall floor plan template is provided to download and print. Quickly get a head-start when creating your own mall floor plan. Though the floor plan of mall is complicated, this template can include most of the key elements in a single diagram and simplify the structure with specific symbols.